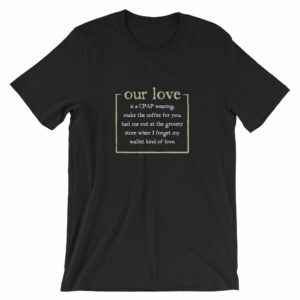 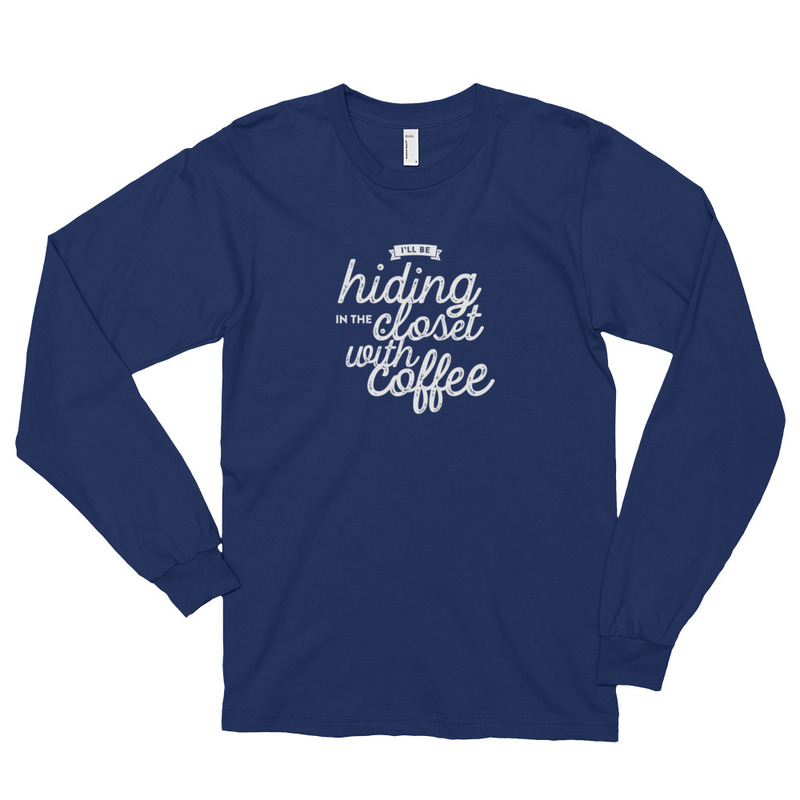 This Hiding in the Closet with Coffee long-sleeved t-shirt is made of the ultra-smooth American Apparel cotton, and adds the sensibility of long sleeves. 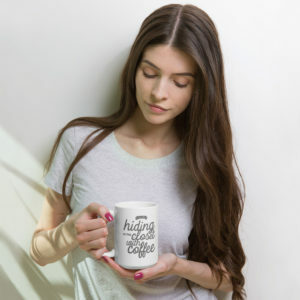 The sleeves are cuffed at the hand, to make for a tapered look. 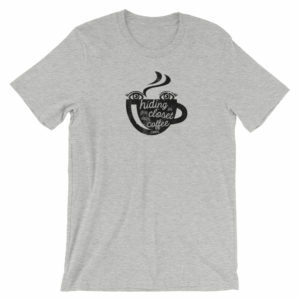 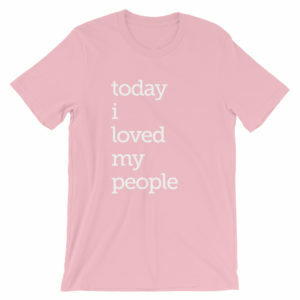 The t-shirt is made out of 100% cotton, except for the heather grey color (90% cotton, 10% polyester).